Have you ever had a book come at the precise moment the message is needed? Notice I didn't state "IF" suffering happens. Esther Lovejoy bared her heart and struggles in her own times of suffering throughout the book. Lovejoy, a pastor's wife for nearly 30 years, who was active in church activities and preparing for her leadership roles realized "she had better start reading the Bible not to prepare and give out" would be her greatest need in her own life. As one who has been in leadership, this resonated with me. Many times when in leadership, we fall into the belief that preparing to teach and lead counts as our own time in the Word. It is only when we realize preparing is not spending our own time with God and His Word. Each one of us needs our own time in His Word. Only through suffering with Christ can we comprehend and experience the fellowship of suffering with our Lord and Saviour. Lovejoy expounds, "It's not enough to just know about Christ's suffering. We need to....fellowship in His sufferings." However, we must make the conscious decision to "allow our pain to identify" with Jesus. 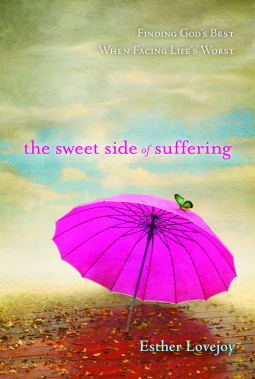 Therefore, "Sweet Side of Suffering" shows the reader how to find the proper attitude and understanding of suffering in one's life. The thing this blogger likes is Lovejoy does not only focus on how one can find the 'sweet' side of suffering, but how our suffering will "overflow onto the pain of others, we can truly offer them the sweetness of shared suffering~the gift of efu." I discussed 'efu' and how the church of today is failing this concept here. LOVE this quote, Dawn, and can so relate in my own life right now. God is good. Happy to have made your acquaintance. 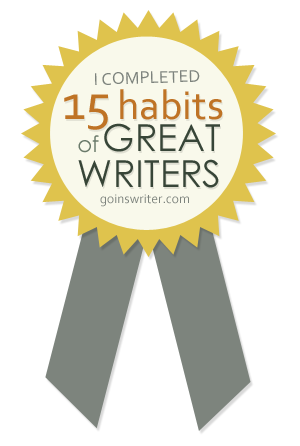 Keep up the great reviews and writing!